Porcelain veneers are ultra-thin, custom made facings that are bonded to your teeth. The veneer procedure is relatively simple and can take as few as two appointments. 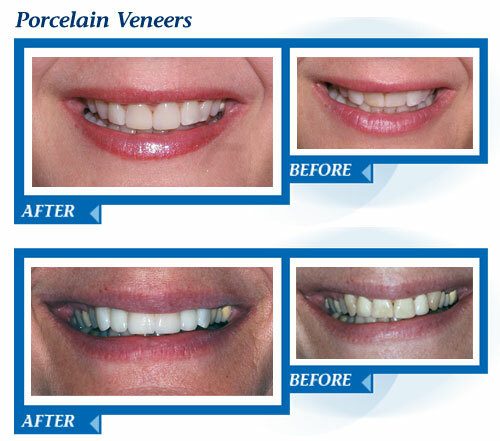 Made from a specialized porcelain, veneers are a great way to improve the look of your smile. You can immediately whiten your teeth, close spaces and correct alignment. Veneers can also cover teeth that are chipped and worn or eroded. During the first appointment, the teeth receiving veneers are conservatively reshaped and a temporary provisional is placed. Veneers are then bonded in place after approximately three weeks.